Nevada County, along with its neighboring foothill wine regions, has a rich Gold Rush history. 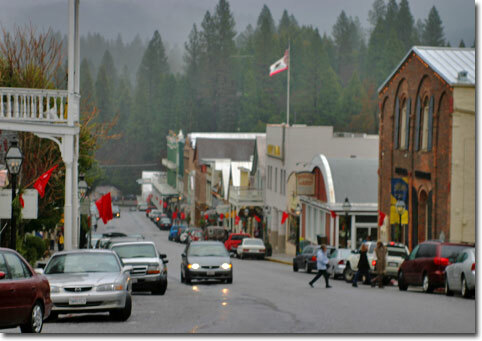 The county was organized in 1851 from land that was originally part of Yuba County and was named after the bustling mining town of Nevada City. This is an area of mountain tasting rooms and vineyards and the wines reflect that. These are wines with finesse and balance that have more in common with Bordeaux, Rioja and Piedmont than Napa. Although starting as a placer mining area, the focus of Nevada County s oon shifted to hard rock mining and some of the largest mines in California were soon found in and around Nevada City. The Empire Mine, one of the largest, is now a state park and a great day trip all by itself. The old vacation house and grounds of mine owner William Bourne Jr., are beautifully restored and worth visiting to see how they change based on the season. The wealth of these mines soon made Nevada County the center of gold mining for the state. A young Herbert Hoover was once a miner here.